....to be bummed that the show The Americans on FX is over for good. It was about KGB agents, and it was intriguing. The finale was a tad boring though--I thought more people would die. Still, I'll miss the show. I'm hoping they do a spin off. ....to can't believe my daughter graduates fifth grade on Wednesday. Ack. She's ready to go! I'll be crying in the audience. ....to have stocked up on chocolate for summer break. The last day is technically Thursday since it's a make up day, but Natalie will probably stay home since there's nothing left to do. My son has to go since he has a final that day, but at least it's a half day! ....to always get excited when the public library alerts that one of my books are in and ready for pick up. Yes! I saw that cereal and I was tempted! We have chocolate peanut butter pie OREOs today so I'm having fun with those. We still have 2.5 weeks of school. It will go so fast! My kids have 3 weeks of school left. I am looking forward to summer vacay, but like you, I need to stock up on treats for me and the kids. While my kiddos are grown I love banana pudding and will look for this! Summer vacation is nice and quiet around town and I'm looking forward to less traffic when out exploring. Oh a new cereal to try out, perfect. Go ahead and ball like a baby you have earned it. Congratulations on your graduation Natalie. Middle School here you come. I have a book waiting for me at the library too! I have to remember to pick it up! NILA WAFER CEREAL?!?!? UMMMMMMM sign this girl UP! Oh my gosh I've never even seen the cereal. That would be a perfect dessert to eat also. There is nothing wrong stocking up on chocolate our house has a ton of it LOL. That cereal looks good and I like a little sweetness in the morning. Graduations are great but when the kids get older it can be a sad too. I would like to try the Banana Nilla Wafer cereal. It sounds like a treat rather than breakfast :) I like the combination of banana and marshmallow. Yumm! Not sure how I didn't know about this cereal being released. I have to pick up a box for my family. I get excited about my library alerts as well. It's such a nice treat when they're for pickup. I love Nilla wafers. And I love bananas, so I definitely want to try this cereal. 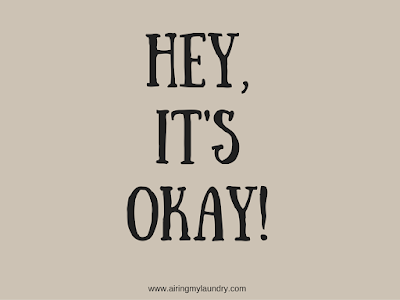 Yep, it's okay! I love it. We're all just living life. I think i need this cereal in my life today. Going to look for it while I'm out. Yum! This is the first time I heard about this Nilla brand cereal. Banana pudding is my favorite I will check our local store and see if the carry this brand. I need to stock up on chocolate for the summer. It sure help with the days the kids are driving me crazy. Haha I love that you stocked up on chocolate! I am right there with you on kids growing up, my daughter is in 4th grade and will be entering 5th grade in the fall. Kids grow up wayyyyy too fast! On another note, I did not know about the vanilla wafer cereal, yum! Wait, you can get alerted from the Public Library!?!? YASSSS. I love our library. OMG your chocolate one. Sounds like someone is going to have a good summer!! I think it's awesome that she's graduating! Time flies! I hope you guys have a wonderful summer, I can see you're starting it right by getting chocolate! Love it! That cereal is definitely something I am going to have to try! It sounds amazing! What a great post! That cereal looks yummy. I'm going to have to look for it and purchase some. My daughter is also graduating from 5th grade this year. I too will be in the audience trying not to cry like a baby!! Fun post. Just get it all out! Um that cereal looks pretty stinkin' fantastic!! Yes to the library having your book!! I went to the library yesterday and grabbed a few great books!! I've been on the fence about watching the Americans... I guess I better watch it now! Also that ceral looks amazing! I need to check my grocery store for it! I haven’t seen it. I look forward to this summer season as a summer show when most of my all time fave goes on hiatus. I also need to try that cereal it looks good to me with all honesty. I love this kind of post! I need to try the Banana Nilla wafer cereal and catch up with the last season of The Americans. I am always sad when a show I love ends. This is a new cereal we need to try! Plus I thought stocking up on chocolate was normal. Isn't it? Congrats on your daughter graduating. You will have a middle schooler just keep her encouraged that age frame can be rough sometimes. 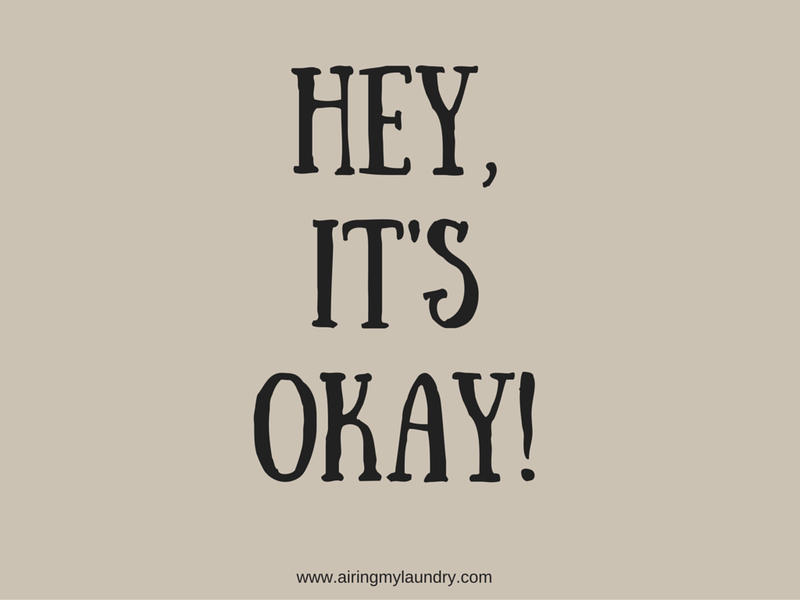 I love how your 'Hey, It's Okay' posts always feel so genuine and close to home! I have never heard of Banana Nilla Wafer Cereal, but it does sounds like a great treat. Congratulations as well on your daughter's graduation.. don't worry, I also cry when my boys graduated from elementary. this is so cool, and i haven't tried their cereal but i was obessed with the cookies when i was younger. 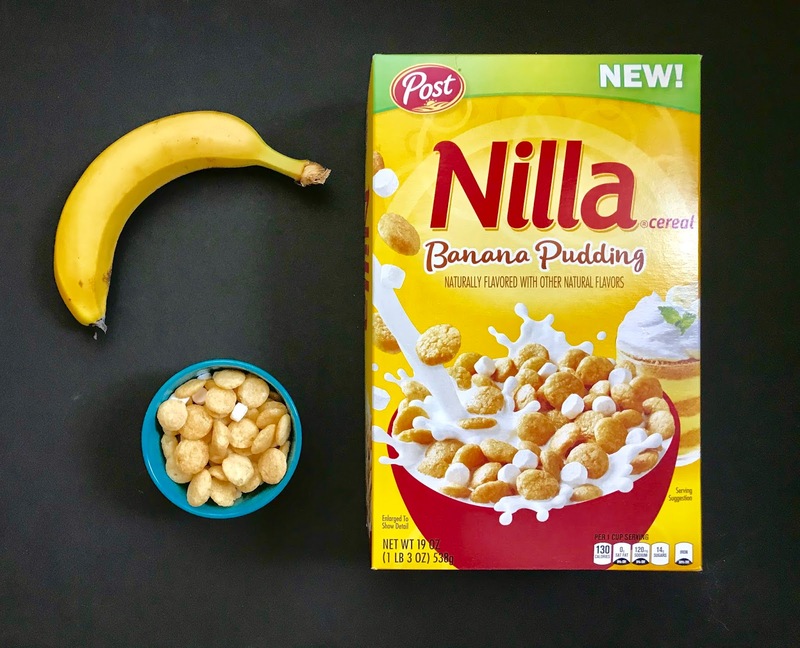 I'm not really a sweet cereal type of person but, I love bananas and I absolutely love Nilla Wafers so I'm definitely down to try it.